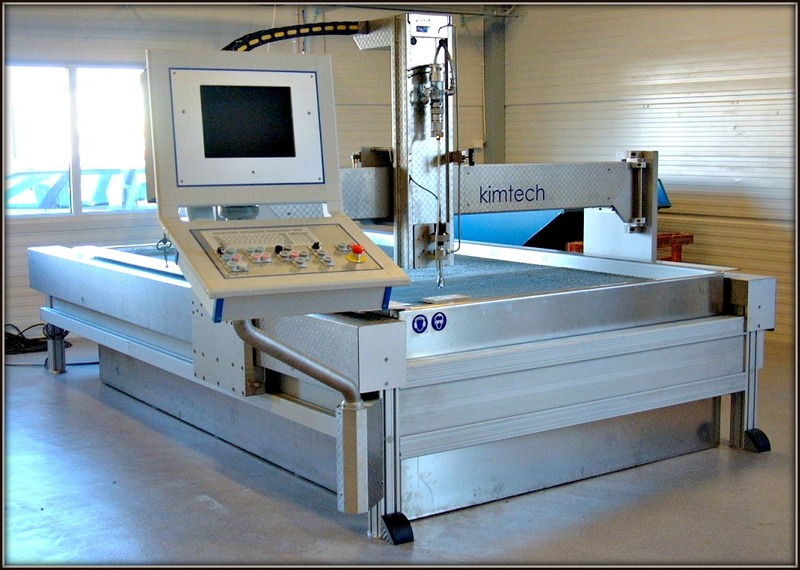 Kimtech's waterjet machines are developed and manufactured in Sweden. They are precision CNC-controlled machines using cutting edge technology to deliver an easy to operate, reliable cutting solution. The cut from abrasive waterjet cutting has a tolerance from 0.1 mm to 0.5 mm, depending on the thickness of the plate. The advanced software control of the machine delivers very high position accuracy, <0.10 mm. 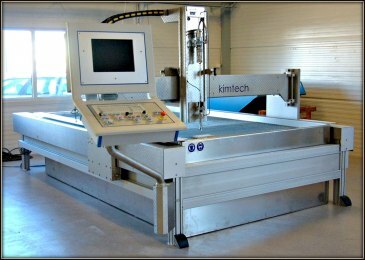 Kimtech works throughout Scandinavia and Europe. 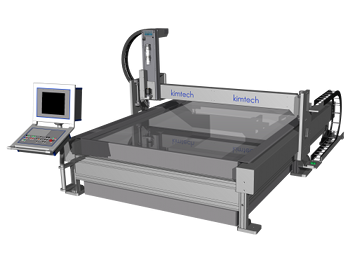 To ensure a high quality of expert support and service, Kimtech has several co-operation partners including LB-service, Indutech, NK-Service and Arvór System. Kimtech has delivered waterjet cutting machines from 0.5x1m up to 4x20m. We use a range of techniques for linear movement including precision ball screws, linear motors and rack & pinion drive. The most suitable technique depends on the customer’s request for acceleration, speed and accuracy. Our policy is to always fulfil the specifications and requirements of the Customer. We have three standard machines that cover most applications but we also regularly build fully customized special machines.